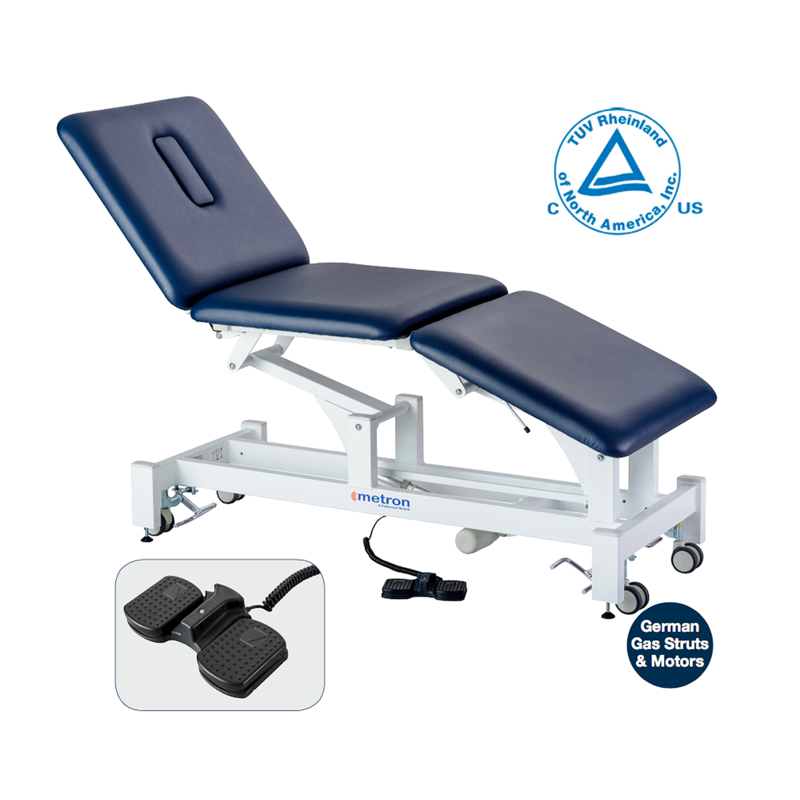 The Elite 3 is our most popular table with the 70cm becoming the standard in physiotherapy clinics. Featuring single gas strut configuration at head and foot section, “twin lift” stability, open base design, four levelling feet and available in a choice of colours, the Elite range combines quality and durability with style and elegance. Complete and unrestricted access for a range of patient treatments. Standard with face hole and plug. Comes with four wheels, as standard. Elevating surround bar available as an optional accessory.